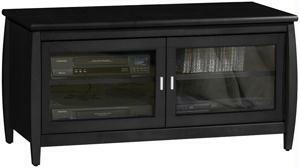 This Techcraft 32-Inch Tall-Boy Style Credenza fits most 32" and smaller flat panel televisions. 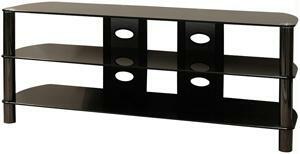 Its 32" height makes it perfect for living room or bedroom use. The beautiful framed doors conceal your equipment. This stand provides ample space for component storage and wire management. 32" tall-boy style credenza in a walnut finish. Fits most 32" and smaller flat-panel televisions. Ample storage space and wire management capability. Beautiful framed doors conceal components. 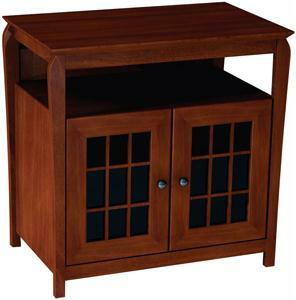 32" H x 32" W x 20" D.
UnbeatableSale.com offers the most incredible deals on the latest furniture, electronics, gifts, health, and baby items. Our low price guarantee assures you that you are getting a competitive, low price on this great TECHCRAFT BAY3232 32 HI BOY A V CREDENZA WALNUT. The retail list price on this product is $314.99. If you buy from UnbeatableSale.com today, you'll save 5% or more! Can't decide? UnbeatableSale.com gift certificates are always just right! We hope you will enjoy your shopping experience with UnbeatableSale.com. If you have any questions or comments, please see our contact page for information on how to reach us.